The fourth in our series of antenna shops isOmotesando Niigatakan N’ESPACE in Omotesando, Tokyo. N’ESPACE is a coined word, made by combining the “N” from “Niigata” and “Network” with “ESPACE”, the French word for “space”. Even though the name sounds like it should be part of a coffee machine range, N’ESPACE is in fact a satellite / antenna shop for the Niigata prefecture region. 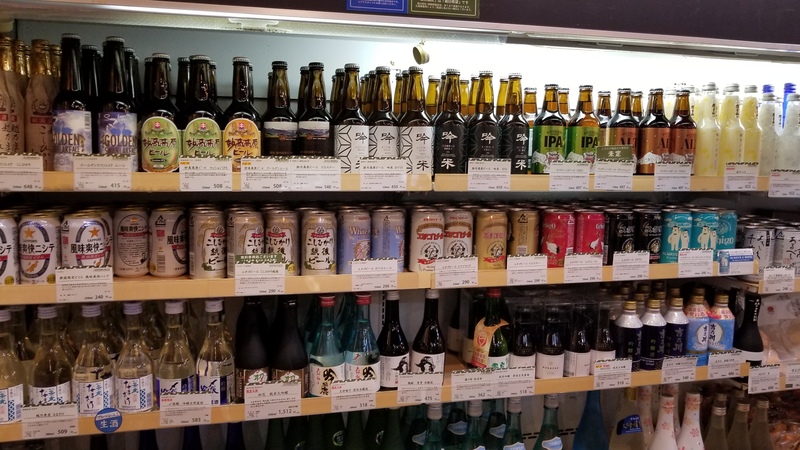 This means you can expect to find beers from Tainai Kogen Beer, Swan Lake Beer, Hakkaisan Izumi Beer, Echigo Beer, and Niigata Beer among others. Omotesando Niigatakan N’ESPACE is located a one minute walk from the A-2 exit of Omotesando station on the Tokyo Metro subway line or a ten-minute walk from the Omotesando exit of Harajuku station on the Yamanote line. There is also a small cafe downstairs door which sells Niigata produce, snacks, and meals, and also serves as a small drinking area though I suggest just getting your beers and moving somewhere else as the cafe was a little busy on the day I went. In August 2018, N’ESPACE also opened up a small sake / nihonshu bar as well, where you can try some of the samples and then buy the bottles to take home.